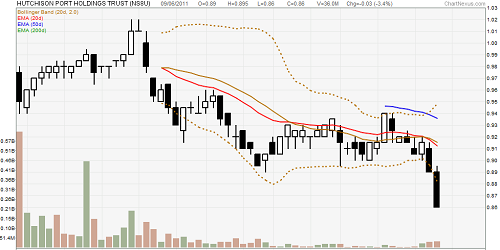 Hutchison Port Holdings Trust (HPHT) have been in a downtrend since its IPO days. Investors like myself were attracted to the dividend yield. Its net asset to debt is comparatively lower than the REITs, so its in a good situation there. Unfortunately, unlike a lot of the REITs the results in these transhipment ports have been very challenging. HPHT just announced their latest first quarter 2018 results and net profit is down by 12.9%. What we find interesting would be the slight change in narrative in the commentary. The narrative seems to be a cut and copy for the first 3 quarter. For the upcoming first quarter there is a shift in tune. It gives the idea that perhaps management think they are not out of the woods but things will get better. The purpose for doing this is to identify the potential change in the profit and cash flow trends. If there is a change in trends, the cash flow rises, the share price may follow suit. How Comfortable of a Dividend can HPHT Pay Out? Let’s try to see if we can figure this out. HPHT just announced their 1st quarter results. While net profit is down, the operating cash flow looks pretty stable. OCBC research have a pretty good chart showing quarter by quarter key results. If we try to annualize the first quarter 2018 results and use that predict whether the dividend is sustainable or not, we will be fxxked. 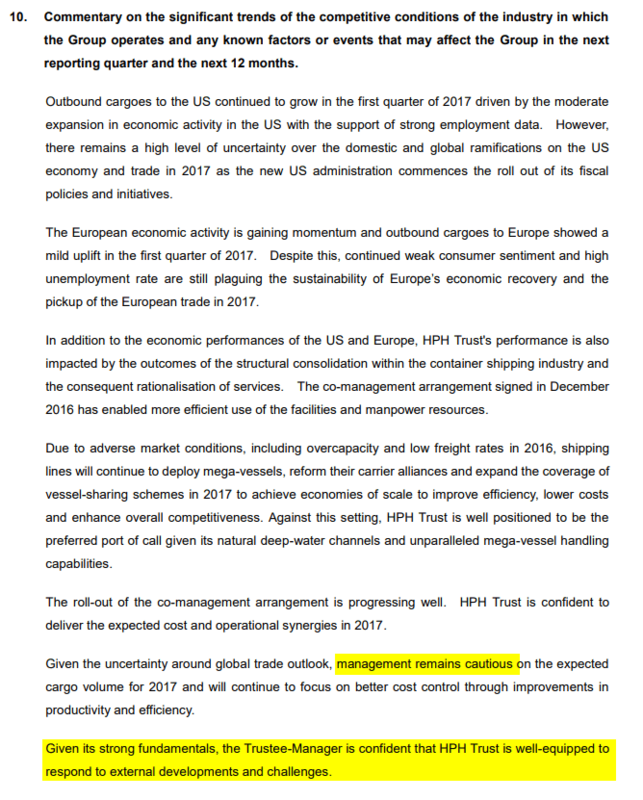 Given this, I am more incline to compare HPHT full year 2017 cash flow, and do some forward modifications to this. PS: Cash flows for the beginners might be a wild jungle. I written an article explaining the different type of cash flow and why we need so many different ones. You can read Net Profit, EBITDA, Operating Cash Flow and Free Cash Flow in Dividend Investing here. Calculating the Investors Cash Flow depends on your objective, which drives what you factor into your calculation. In this case we are looking at HPHT’s ability to pay the dividend. We do noticed that in 2017, the capital expenditure is much lower (#1). 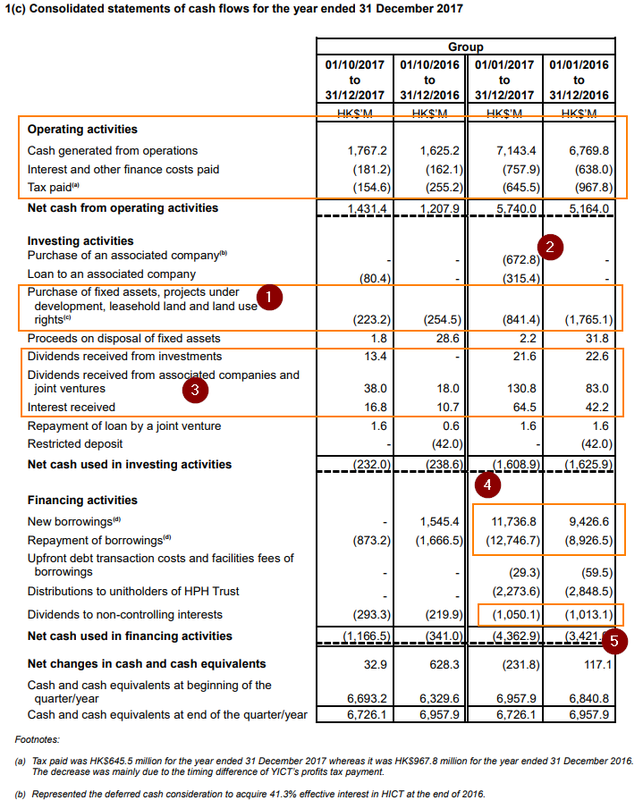 HPHT did spend a fair bit of money to purchase an increased stake in HICT (#2 and the foot notes). DBS research seem to estimate that future capital expenditure will be around $1 bil. So what we can do is to estimate the cash flow with both $1 bil and $1.7 bil. We want to see a possible dividend yield and a conservative one. With FY2017 figures, the investor cash flow will be = 7.1 bil – 0.75 bil – 0.645 bil – 1 bil – 1bil – 1 bil + 0.22 bil = HK$2.9 bil. HPHT Market Capitalization (Current share price x number of outstanding shares) is US$2.87 bil. In HKD this is HK$22.53 bil. Thus the cash flow yield that HPHT can pay out is 2.9/22.53 = 12.87%. Lets put in the conservative capex of $1.7 bil. The investor cash flow will be = 7.1 bil – 0.75 bil – 0.645 bil – 1.7 bil – 1bil – 1 bil + 0.22 bil = HK$2.2 bil. The cash flow yield that HPHT can pay out is 2.2/22.53 = 9.7%. Now instead of 2017 figures, lets use 2016 full year figures with a 1.7 bil capex. The investor cash flow will be = 6.7 bil – 0.64 bil – 0.98 bil – 1.7 bil – 1bil – 1 bil + 0.14 bil = HK$1.52 bil. The cash flow yield that HPHT can pay out is 1.52/22.53 = 6.7%. This is why if we marry the commentary and the cash flow analysis there might be a potential there. Of course if we use a lower operating cash flow with higher tax, as with full year 2016 figures, the cash flow yield is wildly different. HPHT pays out HK$0.206 in the last year, which translates to a 7.8% dividend yield based on current share price (Apr 18 2018). On my Dividend Stock Tracker, you can keep track of the change in dividend yield of HPHT, as well as other popular dividend stocks in Singapore. However, if there is one thing this exercise teaches you, it is that don’t assume just because its listed as 7.8% that means a company like HPHT can pay it out the next year. HPHT have seen their cash flow dwindle over the years since IPO, which explains the fall in their share price. A poorer operating cash flow, higher projected capital expenditure, would bring down the cash flow that HPHT can use to pay out that juicy dividend. If not enough, they cut your dividend. When your dividend is cut, the market thinks the future is worse off, so it sells off. Its a negative feedback loop. Like me on Facebook. There are sometimes extra stuff there. We did an article some time back on HPH Trust. [Analysis here >>] Since then the price went down to a low of 59 cents and came back up at 68 cents. Why is this stock continue to be weak? Analyst are still thinking that there is a good risk versus reward for this. The general consensus during IPO was that HPH will grow 8.5% in 2011 and 8.4 in 2012. Turns out instead of growing based on GDP growth, volume have fell 4.6% instead. 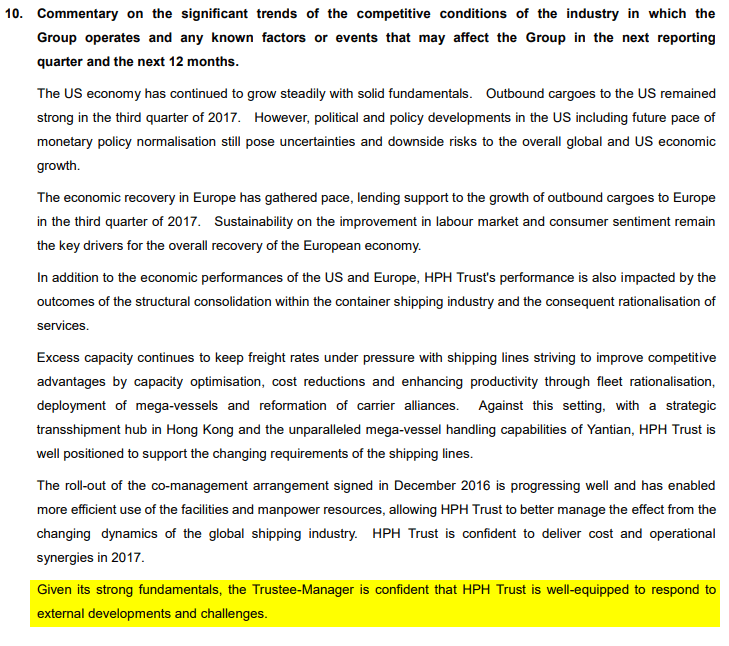 DMG Analyst think that the port assets owned by HPH are relatively mature and unlikely to deliver much more than single digit growth even if economic situation improve. CITI Analyst says the original estimate DPU was 5.9 US cents (45.88 HK cents) for 2011 and 6.59 US Cents (51.24 HK cents) for 2012 could be in jeopardy. He estimate that it may be 34 HK cents and 45 HK cents instead. CITI Analyst thinks HPH relatively expensive at 20 times earnings versus Cosco Pacific and China Merchant International Holdings. 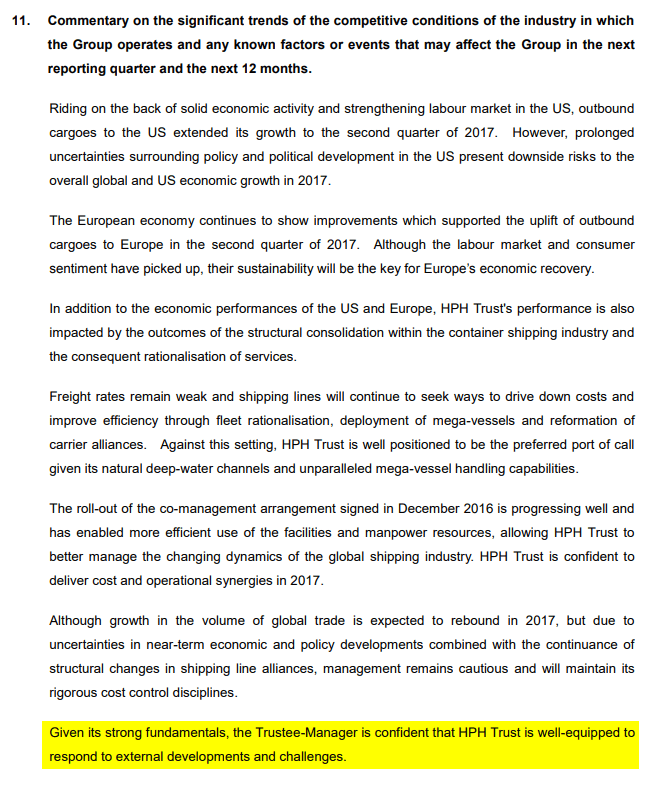 Analyst have indicated that the problem for HPH is that volume and export slowdown cannot be anticipated easily. Several trustee manager believe that the stock price have factor in a lot of the bad news. Analyst think that the support is at 60 US cents. They are forecasting DPU of 5.5 US cents for 2011 and 5.9 US cents for 2012. That’s 8% and 8.6% yield based on share price of 68 US cents. Hutchison Port Holdings (HPH): Is this a 10% yield opportunity? Readers of this blog would know that I got 8 lots of HPH at IPO from bidding 11 lots. The issue price is USD 1.01 but debuted at USD 0.96. I sold 6 lots at USD 0.95 and 2 lots at USD 0.92.
to not avoid this stock as my skill in discerning good stock from bad stock is not good. I should have kept this 8 lots and not sell at a loss. Taking a USD 700 loss is not right. This stock have haunt me for quite a while and with this volatility in this market, I feel I should revisit this. The consensus profits estimate is around HKD 2100 mil. Operating Cash Flow is estimated to be HKD 5390 mil. Capex for the first year is estimated to be HKD 2000 mil, which will go down subsequently to HKD 1000 mil. 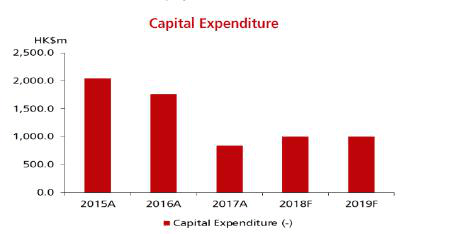 Capex seem to be able to meet deprecation of HKD 2700 mil in the first year but after that, analyst expect it to go down. What does that mean? does HPH start self liquidating? Overall, we can expect free cash flow to come in at HKD 3390 mil, or HKD 4100 mil subsequently. To pay out USD 0.06, HPH needs HKD 4100 mil, which the free cash flow should barely suffice. The consensus projected full year dividend per share is USD 0.06 to USD 0.07. At current price of USD 0.62, the yield is about 9.6% to 11%. That looks a pretty decent yield, but the caveat is that a lot of how much HPH yields depends a lot on the amount of traffic handled by the ports. In a downturn, it is likely the traffic will fall, income will fall and so will earnings. Although, the traffic will not fall as badly as ship charterers, it will still affect the yield. The caveat as well, is that although dividend yield is 10%, free cash flow yield is 10%, earnings yield is just half that at 5% and not looking to increase. The reason for the big difference is due to depreciation and changes in capital expenditure. I truly believe that this trust is self liquidating, meaning that at the end of the concession period, HPH could not operate the trust again to earn if they do not ask for more money from the investors. To make calculations easier later, the average concession life of HPH’s total assets is 36 years. I think in terms of leverage, HPH is in a good position. The trend for these trusts seem to be light on debts and let the equity investors take the risks. ROA is very low at 1.44%, I have yet to find out why it is so low. The cherry picking ratio out of all these valuation ratio is the price to book at 0.44 times. Now I do feel that this might be even more dangerous since if they are paying out dividends through depreciation, it would mean that book value will continue to go down. So what is the true book value? I think using book value as an estimate is not really accurate here. 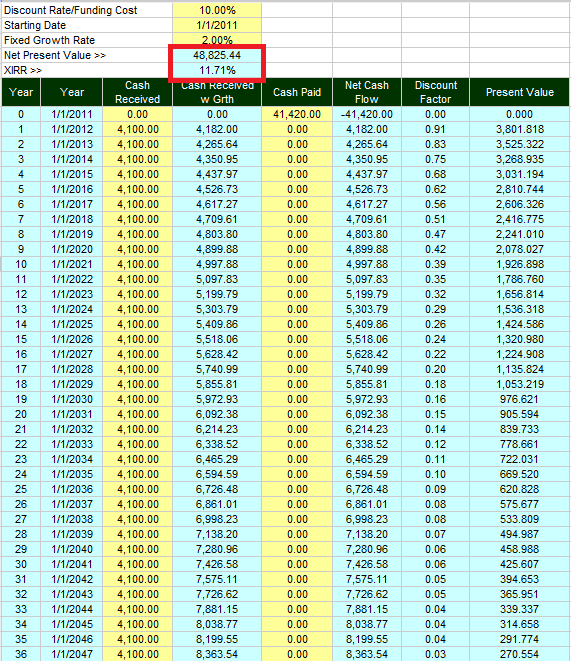 A PE of 19 times means its likely you will earn your money back in 19 years. The concession of their assets should last for 36 years. Is it undervalued? If I compare to other utilities such as Singtel or REITs their PE currently is less than 12-14. HPH looks expensive right here. Now we know that the concession to operate the ports last till 2047 on average. This gives HPH a current operating duration of 36 years at most. We know that the current dividend yield and free cash flow yield 10% requires a payout of HKD 4100 mil and since dividend payout equals to free cash flow and that this is far higher than net income earnings, HPH will end up with zero net assets at then end of this 36 years. We carried out a discounted cash flow estimation using our Investment Moats Calculator. There are 2 ways to derive the valuation but they should end up at the same place. We input HKD 41420 mil which is the current market cap (USD 0.62) into year zero cash flow. For every year up till 2047 we received HKD 4100 mil, which equates to the free cash flow. The cash flow received will grow at a long term growth rate of 2%. The XIRR, or the rate or return is 11.71%, which almost equates to the free cash flow yield currently. The second method is instead of using XIRR we use a discount rate of the kind of required rate of return we demand. Based on the risk, we use a discount rate of 10%. The end state is that we arrive to a Net Present Value of HKD 48825 mil, which is more than the current valuation. It would seem that based on our cash flow estimation, HPH is fairly value now. However, should you buy it at current price there isn’t much margin of safety there. This price charts looks like a mirror image of CitySpring’s price chart. For those not familiar with Cityspring, Temasek IPOed this utility trust at SGD 1.50 and since then it have been dropping to SGD 0.39. I sort of have a feeling for these business trust you should NEVER EVER get them at IPO because they are NEVER going to be worth it. Seems like I need case studies like this to drive it into my thick skull. The drawdown should you are still holding to this stock is 40%. My loss instead of a USD 640 loss would have been, USD 3,200. Sometimes there is never a right or wrong answer to things. Cutting loss works for some people, doesn’t work for others. Some people feel entirely comfortable with averaging down value investments. To me, there is a limit to my valuation abilities and there are certain factors that I cannot account for even with all the due diligence that I have carried out. The decision to cut looks to be the right one, even though I relied on my gut. But really, you developed a gut feel when you get more experience and somehow information gets processed in a unique way you cannot fathom. To me, gut feel nowadays is a sub conscious analysis of whether I made a right purchase or not. At current valuation, HPH looks to be approaching fair value if not abit under value. As a business, this trust will generate income through bad times, but traffic is likely to fluctuate. It is likely it will not be a going concern, given that its net debt to asset is only 16%. The return to maturity of this asset looks to be 10%, the caveat being that long term free cash flow fluctuates around HKD 4100 mil, for that to happen traffic and margins must fluctuate around this. In a bear market, cheap things can get cheaper and I am satisfied I get a rough estimation of the value of this trust. Should it go into deep discount, I may look to pick up HPH. Folks reading this blog would know that I got into HPH during IPO and turns out that this punt fell utterly apart when it crashed from IPO price of USD 1.01 to USD 0.95. Today the price of the business trust reached a new low at 86 cents. Business trust as an investment in Singapore is really about an extreme theme of sponsors dumping assets to investors like me at an obscene price. Reviewing many business trust as compared to dividend stocks and REITs seem to point to a trend where they are unable to keep their share price above IPO price. The lure of high yields proved to be too much at times, but as investors we stand to lose more in terms of capital loss after factoring dividends. Its debut closed at 61 cents. Like all investment assets, there are good ones and there are duds. Business trust seem to be much worse currently because sponsors really use them as dumping grounds. 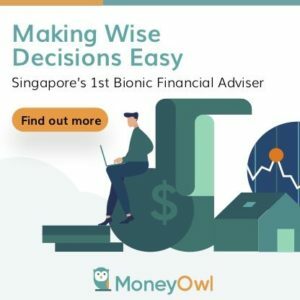 However, if you keep your time frame intermediate, and have a nose to really analyze their assets versus their valuation, you may be able to uncover some turnaround plays, or trusts that have their price beaten down but are really not that bad. 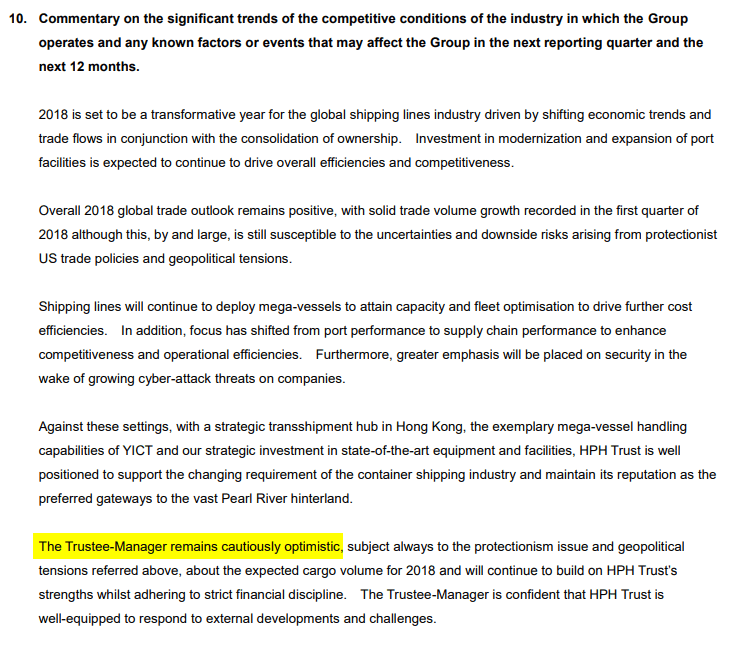 Treasury China Trust seem to be one that bucked the trend. Although it is a china business trust that develops real estate as well as managed china real estate paying out a 4-5% yield, its been buying back shares (not sure why) and have rewarded share holders who are willing to do scuttlebutt research with a nice recent price appreciation.